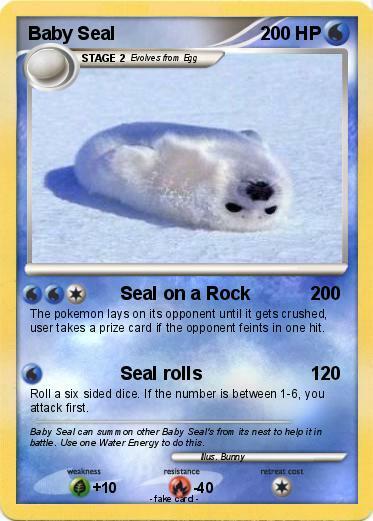 The pokemon lays on its opponent until it gets crushed, user takes a prize card if the opponent feints in one hit. Roll a six sided dice. If the number is between 1-6, you attack first. Comments : Baby Seal can summon other Baby Seal's from its nest to help it in battle. Use one Water Energy to do this.